Thank you to everyone who came out and supported Protect the Sacred! 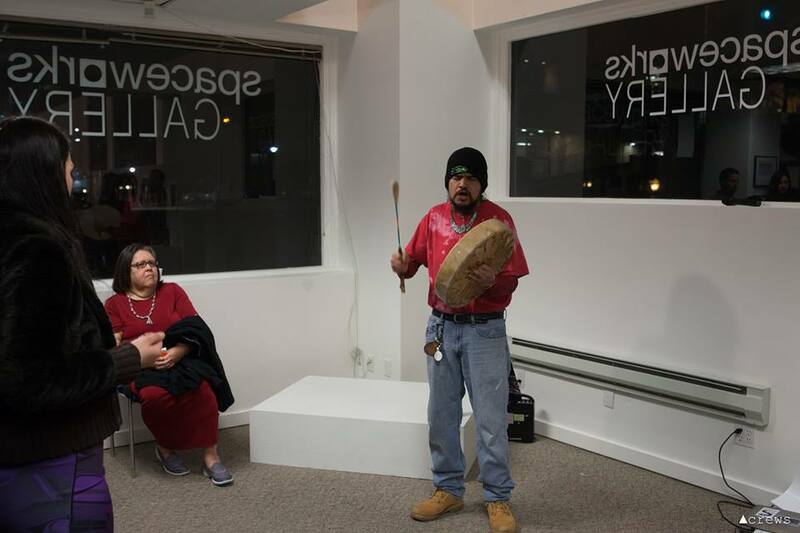 The show opened with a series of performances in January and closed with an all-Native art market in February. During the course of the exhibition, over 700 people visited the gallery, and we were honored to receive some local and national press. The work of 35 Native artists, vendors, and performers was featured, representing tribal affiliations from across the country. Oil is now running through the Dakota Access Pipeline but the fight continues in court, with the Defund DAPL campaign, and through renewed actions against the Keystone XL and other threats to Indigenous sovereignty.